How to choose eyeglasses lenses for Progressive / Multifocal ? Possibly the most important part Is choosing the right eyeglass lenses. The quality of your lenses, their attributes, and their coatings all contribute to how comfortable, happy and you are with your eyeglasses. There are so many options available on the market today, so it can be difficult to decide which type of eyeglass lens is best for you and your unique lifestyle. 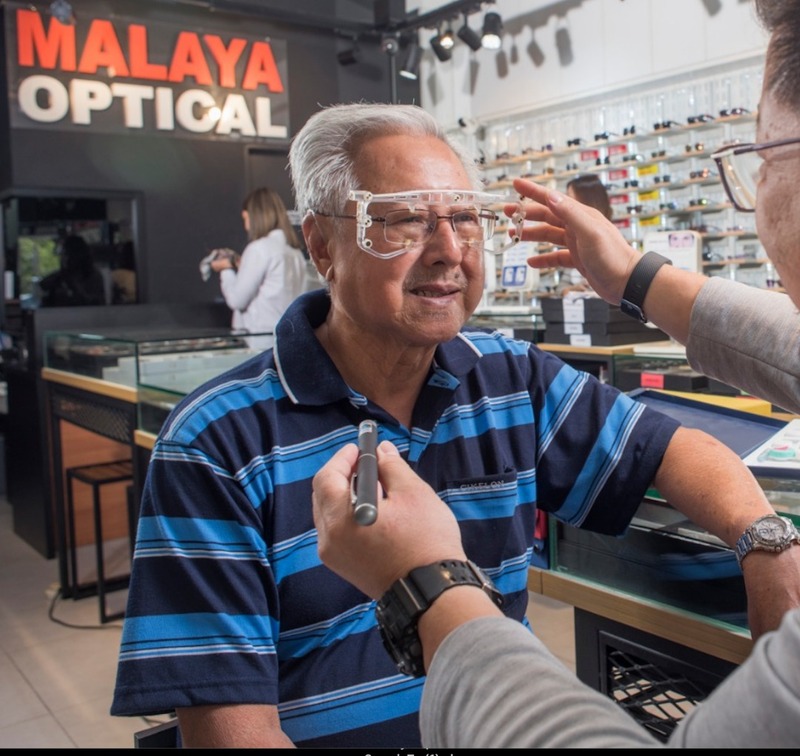 At Malaya Optical, our professional Optometrist would be able to assist you. Here is a simple explanation of how we select your next prescription lenses. Our optometrist would recommend the best fit vision-correcting progressive lenses that suit you based on your lifestyle, work environment, sporting activities and habitual reading tendency. Depending on your visual needs, you may need either mono single-vision or progressive/multi-vision lenses. Progressive lenses are no-line multifocal eyeglass lenses that look exactly the same as single vision lenses. In other words, progressive lenses will help you see clearly at all distances without those annoying (and age-defining) “bifocal lines” that are visible bifocals and trifocals. Not only has eyewear fashion changed, but ophthalmic lenses have also continued to evolve and improve. Now there are many options available for presbyopia patients. Previously, those patients who needed correction to see at near and intermediate distances had limited choices. There are many different Progressive Lenses available today and selection of the lens type are dependent on the visual needs of the presbyopic patient. Lens manufacturers now offer Progressive Lenses that are more compact, so patients can wear the smaller, more fashionable frames and still get the full effect from the lens. The main difference between lenses is the width of the central corridor. Different areas are expanded, depending on the function the lens is designed to be used for, (such as a wider intermediate area being used for the patient who works on the computer), while a wider reading area would be the best choice for the patient who spends a significant amount of time reading. 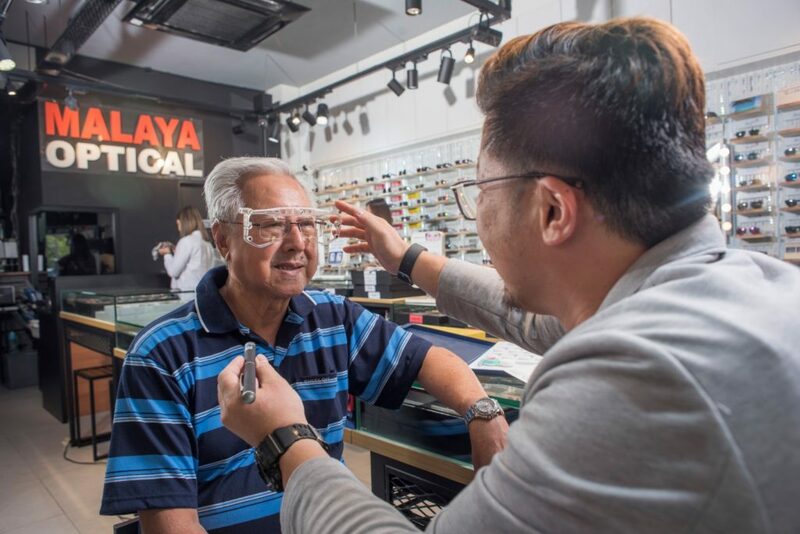 Progressive lenses have become the most popular style of lenses for those who need near correction, but don’t want the age-revealing lines in their glasses.  Patient’s prescription: affects lens design and material.  Patient’s occupation: how they use their eyes at work will determine the progressive design. The lens design for the patient who works as an accountant will be different than that of a sales manager. Computer use for work and/or play will also determine the lens design.  Leisure time activities: what are the patient’s hobbies (do they use near vision significantly), do they play sports?Like golf or Pilot a Plane?  How and when: Will patients wear their glasses full-time? Are lenses to be used when the patient’s contacts are out? Are the progressive lenses to be worn over the patient’s contact lenses? Recording this information will assist in selecting the proper design.  We would also ask what you liked and disliked about their previous eyewear, were they wearing single vision or multifocals, or had they tried progressives in the past and been unable to wear them?  Frame selection is as important as the lens selection. Not only must frames accommodate the lenses, but they should also fit comfortably, suit the patient’s face shape, and be stylish.  Once the frame and progressive lens type have been chosen, the fitting of the lens is very important. Proper fit will ensure a successful fit.